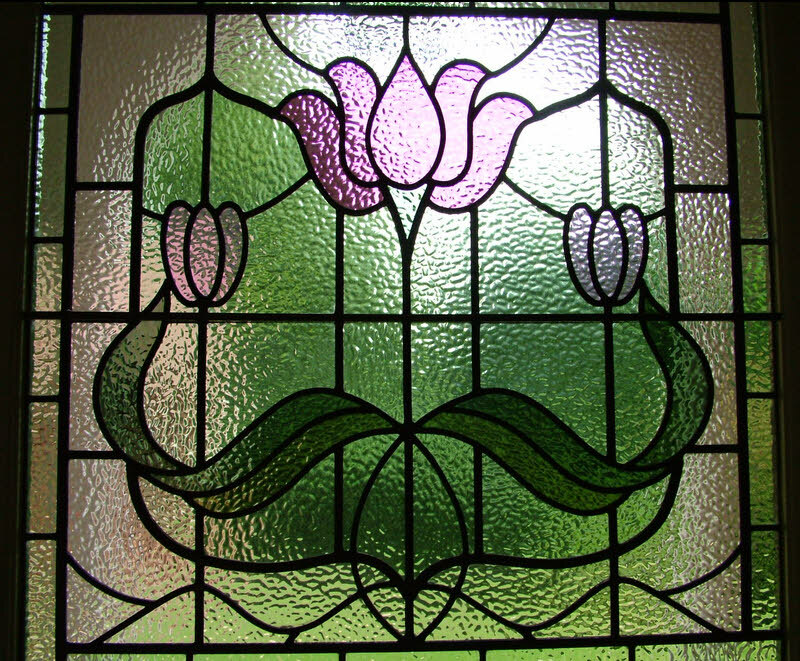 Art Nouveau Flower Leaded Light Panel, Surrey. 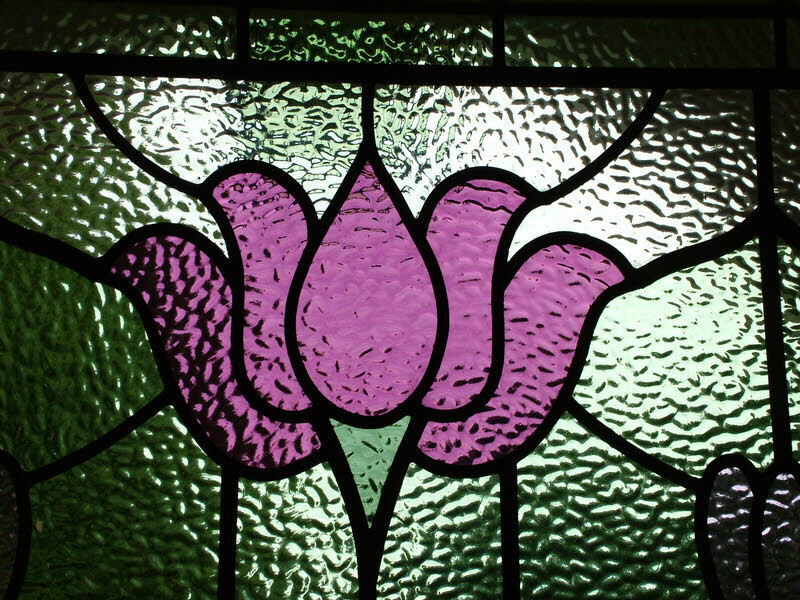 This traditional leaded light panel is made using all English Muffle glass with an original obscured pattern. This makes the glass very suitable for a front door as it gives the right level of privacy needed. The design is a very traditional style but the colours have a more contemporary look. Combining pale green tints, olive green and pinks this is a very stylish window and fits beautifully within its new setting. The colours were picked carefully to match with carpets and wall colourings. 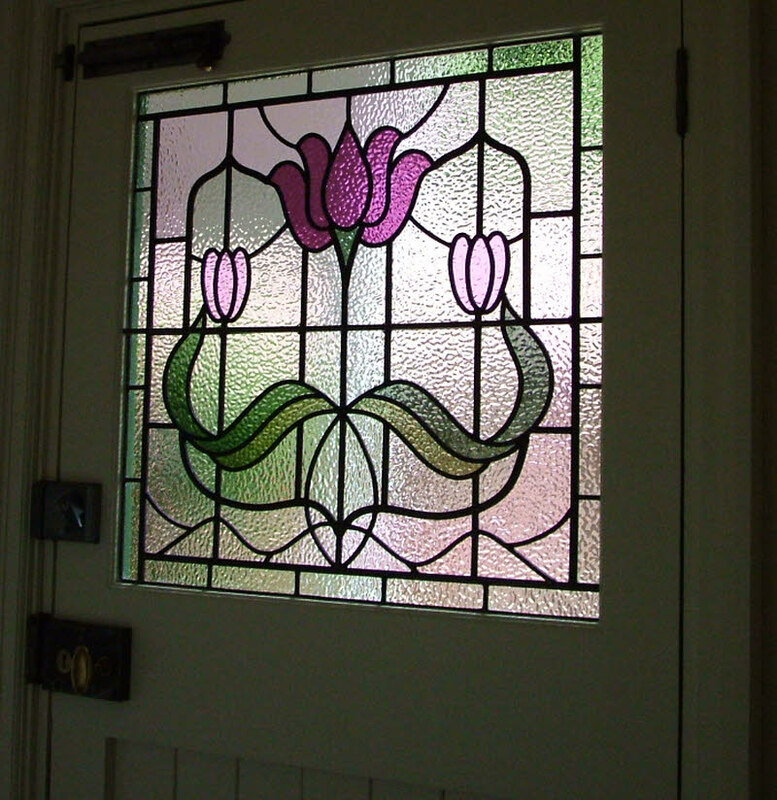 This is one of many traditional leaded light designs that Abinger Stained Glass can provide and is designed to fit the space perfectly. The leaded light is fitted and tied off to a single square bar which gives it extra strength and support and this is in line with and matches the bars in the other leaded lights on either side.